After exploring Hungary, our next destination was Czech Republic! We took a sleeper train from Budapest to the city of a hundred spires. 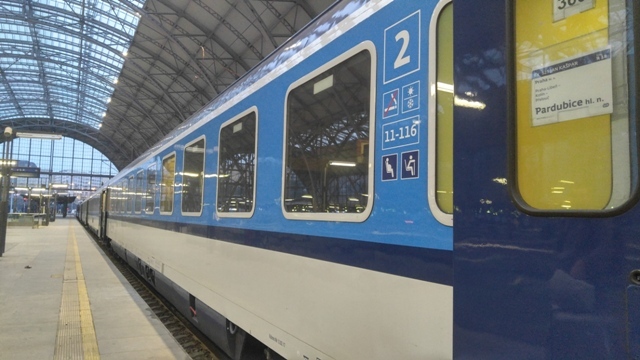 We believe saving one night on accommodation is a good deal so we booked a night train which takes 10 hours and 34 minutes of travel, leaving Budapest Keleti at 20:05 and arriving in Prague hl.n at 06:39. The cheapest early-bird rate, called SparNight, for the sleeper train is 59 euro per person in a 2-bed private compartment. I booked our tickets 11 weeks ahead and got it for 69 euro per pax. Out of curiosity, I tried searching for a 2-bed private compartment again after I made our booking and got a “no offer available” notice. I guess we were lucky to get the last online offer. Yay! 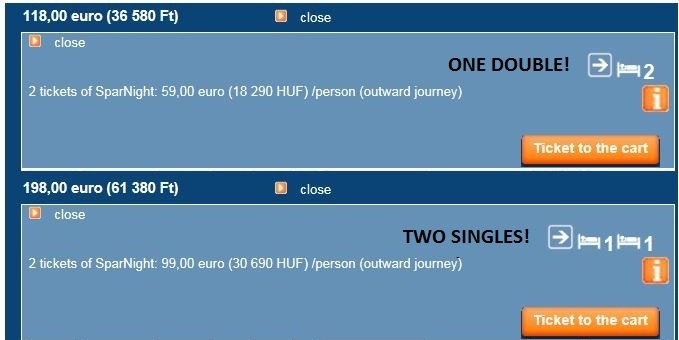 Booking was made through the Hungarian Railways website. Males and females are segregated in compartments. 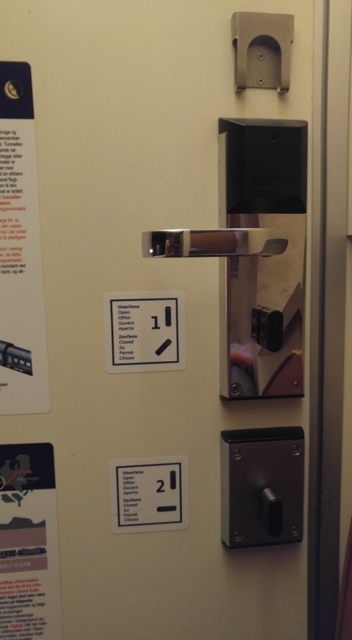 A private compartment must be selected during booking if a group of mixed gender travelers want to be together. 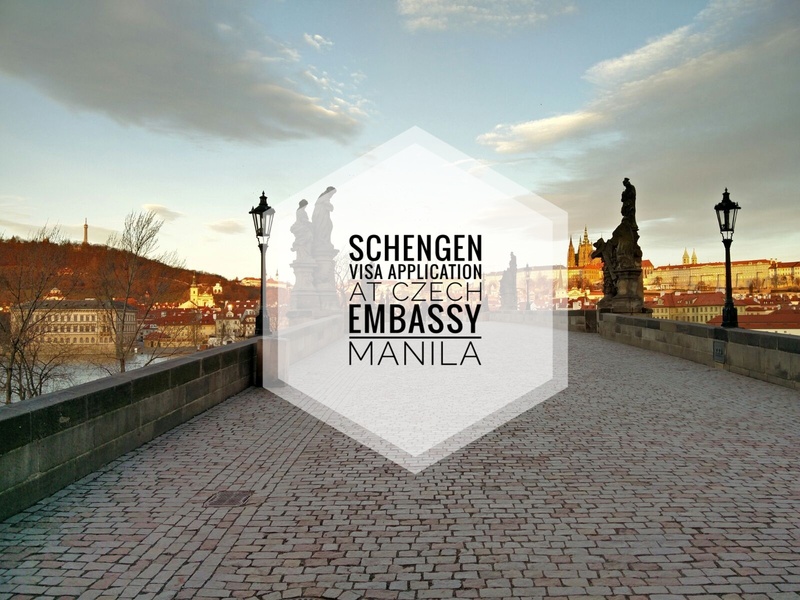 Note that the booking can be done online but this will only give you a reference number which you’ll then use to collect tickets from the yellow self-service machines at Budapest Keleti or other main stations in Hungary. You can’t choose a compartment. It will be assigned by the system during booking. When doing a search, one bed with a number 2 next to it means it’s one compartment for 2 pax (double). Two beds having number 1 each means it’s 2 compartments for 1 pax each (singles). 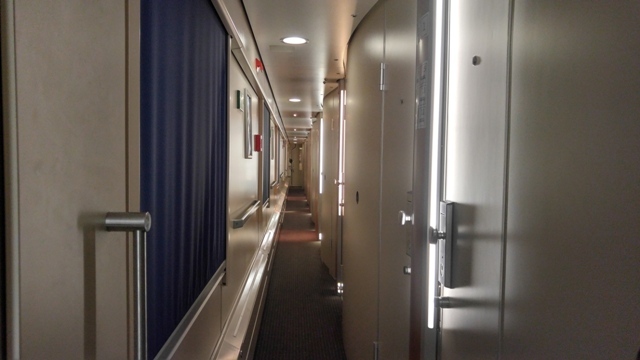 You can check my other post to learn how I booked our private compartment. Each bed came with one pillow and a comforter. 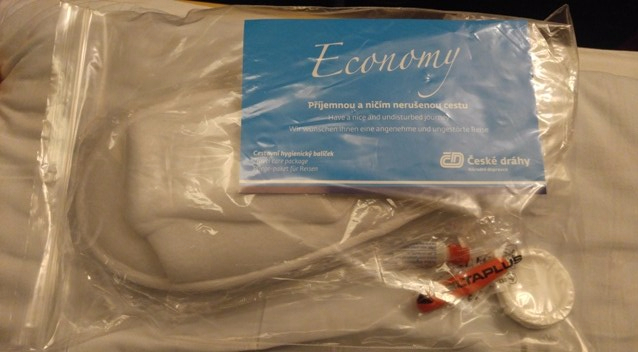 Bath towel, soap, dental kit, ear plug, a pair of slippers, and two bottles of 500ml mineral water are provided for each passenger. You also get complimentary breakfast. 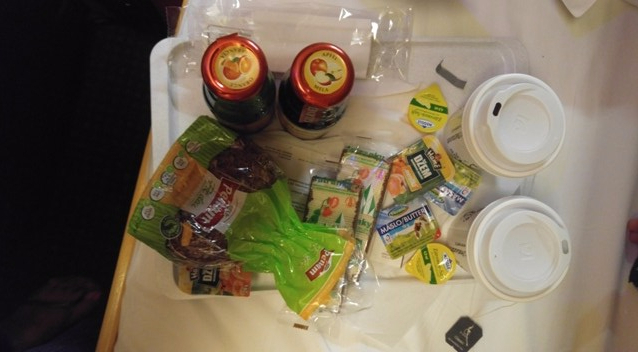 The conductor will ask you in the evening if you prefer coffee or tea and he will bring the food to your room in the morning. He’ll also ask if you want a wake-up call so he can ring your alarm at an agreed time. Alarm button is situated above each bed so you can stop your alarm anytime once it goes off. 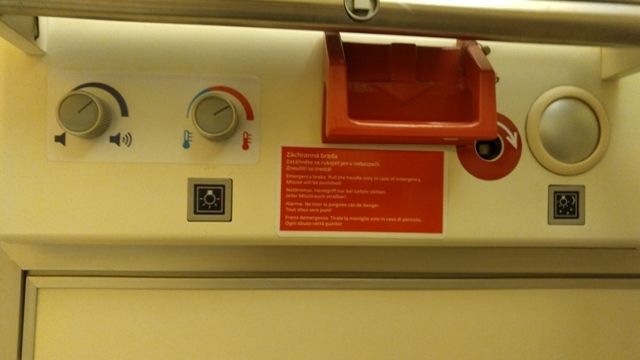 Power sockets are also available in the compartment. Each compartment comes with a key-card type of lock and a deadlock. 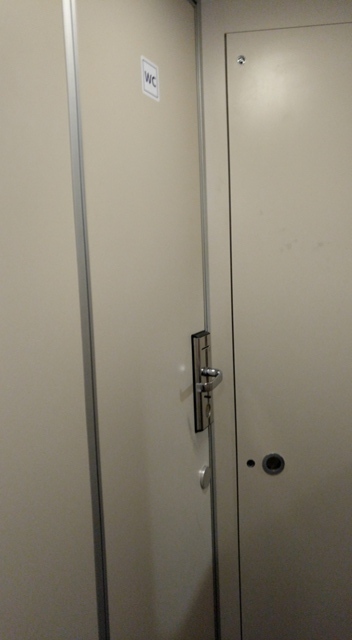 The key-card allows you to lock the room and leave.This key card is needed to access the bathroom (toilet, shower, washstand), with one at each end of the corridor. 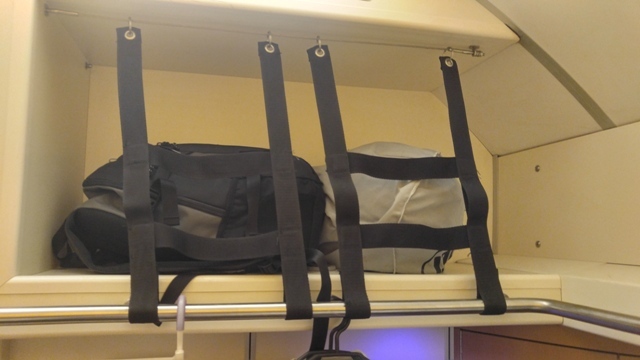 Each sleeper compartment can be set-up to a maximum of 3 beds. However, with the luggage bags and backpacks, I’d limit it to 2 adults per compartment. Small luggage can possibly fit under the bed. Medium and large will not (we tried!) so these will take part of the small floor space you have in the compartment. Overhead storage areas can be found above the door (a bit above the upper bed) and near the washstand. My number one resource on train travel in Europe is Mark Smith’s seat61 page. 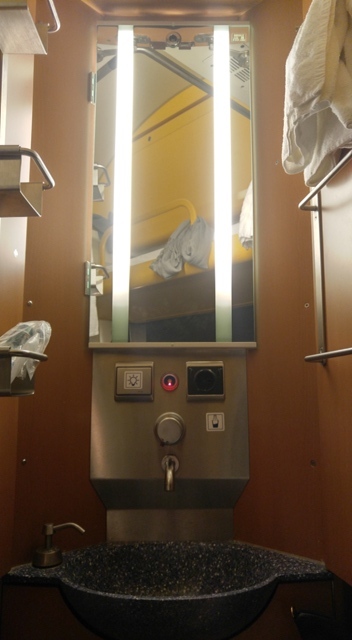 You can head on to the said website for a much detailed discussion on the sleeper train between Budapest and Prague, and for any train travel you’re thinking of! 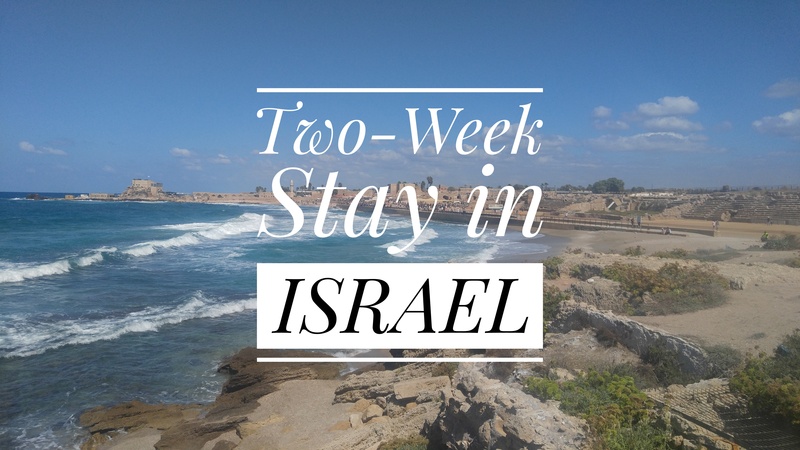 Aside from the sleeper train, you can also consider a day train for almost 7 hours, flixbus, eurobusways, ondaytrip, or a flight. I hope you find the one that is best suited for your needs. 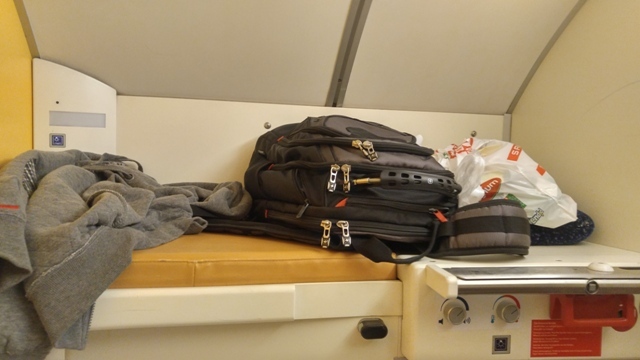 I found a 360 view of a double compartment in OBB’s website. Go here if you’d like to see it. 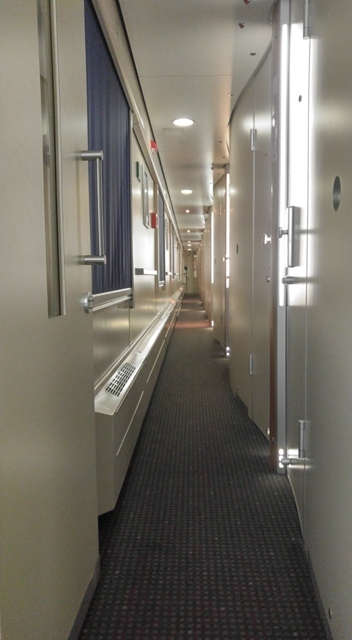 For an overview and other 360 views of nightjet train, go here. The washstand. Has hot and cold water. In the mirror, you can see the upper bed.